In French with English subtitles. DÃ´lÃ¨ offers a Gabonese perspective on the global crisis facing today's youth. With familial and societal structures crumbling, young people are increasingly thrown back for support on each other and an all-encompassing international pop culture. 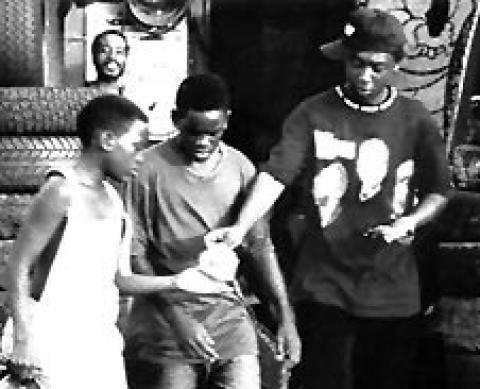 This film reveals that whether in Libreville or in our own inner cities and suburbs the underlying causes of youthful disaffection can be remarkably similar. With Ã‡a twiste Ã Poponguine, DÃ´lÃ¨ provides one of the most affectionate and affecting portraits of African youth poised precariously on the cusp of modernity.